One of the paintings described by the Professor is the infamous Death of The Virgin. 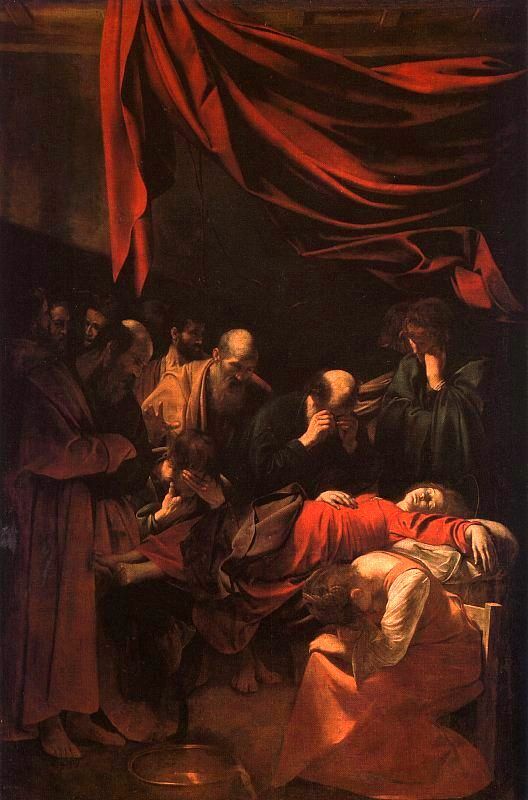 This work has its own folklore, which added to Caravaggio's notoriety. It was rejected by its original patrons, and then bought by Vincenzo Gonzaga, the Duke of Mantua - following a recommendation by none other than Peter Paul Rubens. The painting now resides at The Louvre in Paris. One persistent, but unverifiable rumour was the dead Virgin was painted from a drowned prostitute. Whilst this is more likely to be hyperbole than fact, it can be understood how such a story would stoke the fires of the imaginative and the indignant. 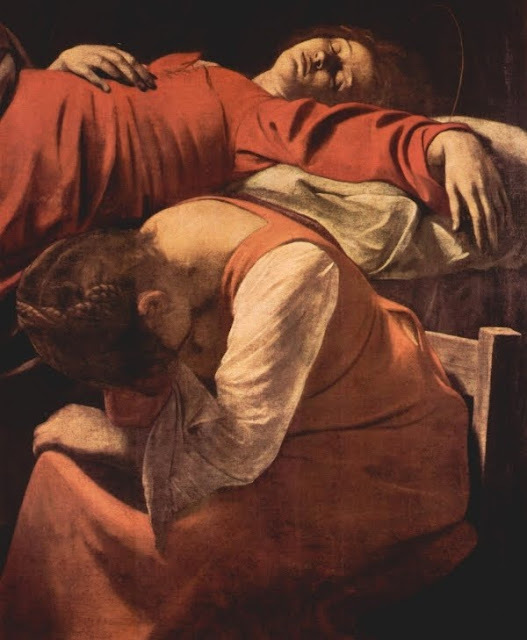 On a related note, those who have listened to the series thus far would have caught mention of the exhibition, Caravaggio e Caravaggeschi a Firenze (Caravaggio and his followers in Florence), which has now made its way from Rome to Florence, and will continue until October 2010. Here is a nice video from this exhibition, courtesy of Tuscany Arts. There is also a delightful Photo Set which can be viewed here. I can vouch for Puglisi's book on Caravaggio - I own a copy and find it to be a great resource. The painting reproductions are fantastic, too. 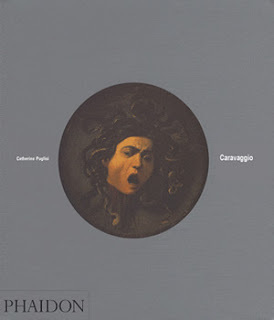 This exhibition on Caravaggio and the Caravaggeschi looks so fantastic. I wish I could hop on a plane and travel to Florence. I'll have to just be satisfied with this YouTube clip, instead. I'd love to be in Florence right now...sigh. Hello M and Jae :) I'm seriously thinking about going there in time for this exhibition. Time will tell! If not, I'm also perfectly happy with the pics and vids. Part 5 of this series will be posted later today.